After more than two months of preparation, the Mumbai edition of ReactFoo took place last Saturday, 26 May, at ISDI. We had 18 speakers, and 120 participants at the event. Participants appreciated Arwa Lokhandwala’s talk on “Why we should use React Canvas”. Other well received talks included Ritesh Kumar’s talk on the development flow with React Native and Kiran Abburi’s case study on migrating from Redux to Apollo. The Birds Of Feather (BOF) sessions on state management and how to grow your career as a front-end engineer in 2018 were well attended too. Here, participants had an opportunity to ask questions, share their experiences and engage in a focussed discussion with others interested in the same topic. We’ll publish summaries of these two sessions on the ReactFoo blog by next week. 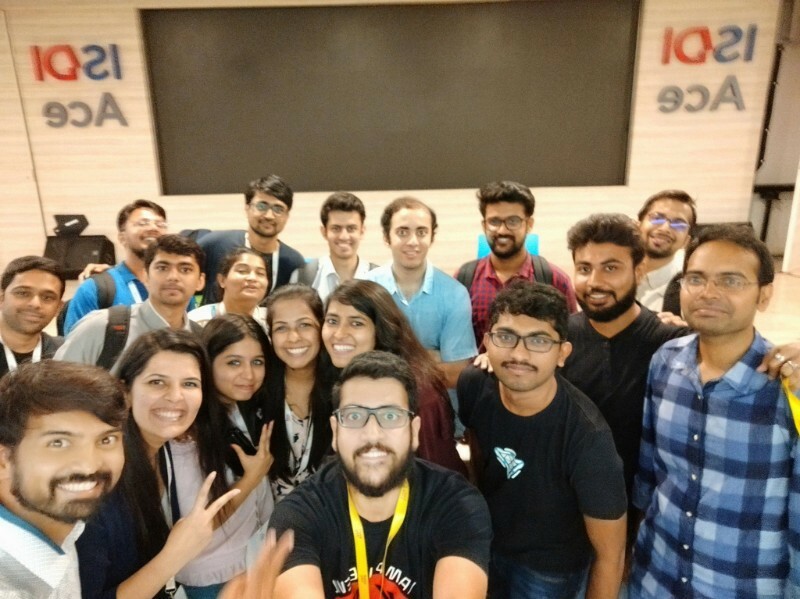 ReactFoo Mumbai was a collaborative effort between ReactFoo speaker alumni and HasGeek. We’d especially like to thank Preeti Wadhwani and Manjula Dube for reaching out and mentoring women speakers; Preeti Wadhwani and Nitish Phanse for spearheading engagement at the conference; and Ankita Goyal, Preeti Wadhwani, Subramanya Chakravarthy, Nitish Phanse and the alumni members for mentoring speakers. We received an enthusiastic response from Mumbai, and are looking forward to hosting more events in the city. Missed the earlier editions of ReactFoo? Catch ReactFoo when we are in Delhi this August! ReactFoo Delhi is a single day event with talks & Birds of a Feather discussions. You can submit a talk today, or reserve your seat at the early bird price. ReactFoo will be back in Bangalore on 15–16 February 2019! The 2019 edition in Bangalore will be a two day event with talks and Birds of a Feather sessions. Schedule for the hands on workshops will be released soon. Proposals are trickling in, so submit soon! Tomorrow is the last day for submitting proposals for JSFoo 2018. Don’t wait any longer, the funnel closes tomorrow. Submit a talk for Meta Refresh! Meta Refresh is a community and conference on the user experiences on Web and Mobile. The conference will feature talks — full-length and crisp, and Off-The-Record (OTR) sessions on Day 1. Day 2 will feature hands on workshops to supplement your learnings on the first day. You can submit a proposal for a talk, discussion or workshop.